Limo Classes & Figure Skating Class! 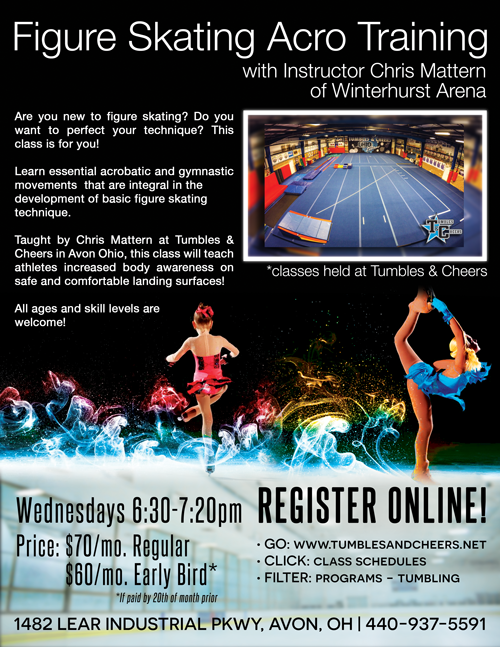 It’s BACK by popular demand – The Tumbles & Cheers Limo Service!! Feel like a rock star getting picked up from school in a limo with your friends to come and hang out and be active at a Tumbles & Cheers tumbling class! Want to sign up? Start HERE and register for your city/school district or call us at 440-937-5591! Click your school to find further information! Join us on Wednesdays at 6:30 for our new figure skating acro training class! Click the flyer to register!